After Sarajevo collapsed, a group of people formed State in Time. It consists in the reproduction of a utopian micro nation, which issues its own passports, postage stamps, has its own anthem and creates embassy events in cities all over the world. Furthermore, anyone who wants to join this project can apply for a passport of this utopian state. To be inherently transnational and the first global state of the universe. The State was conceived as a utopian formation which had no physical territory and was not identified with any existing national state. 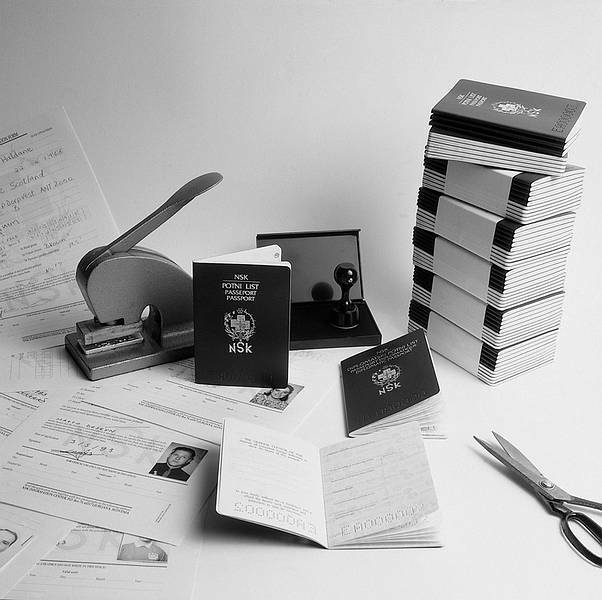 It issues passports to anyone who is prepared to identify with its founding principles and citizenship is open to all regardless of national, sexual, religious or other status. People used the NSK passports to cross the border out of Sarajevo.